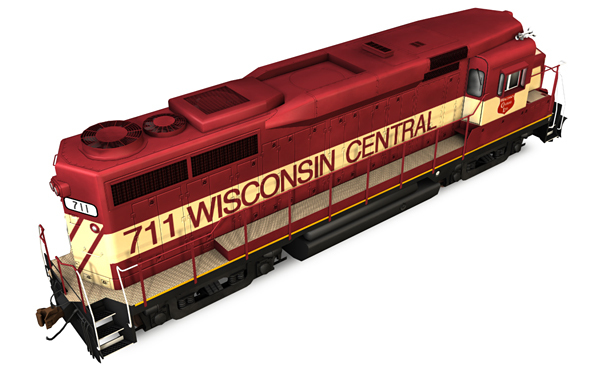 Wisconsin Central EMD General Purpose 30 locomotive, road number 711. 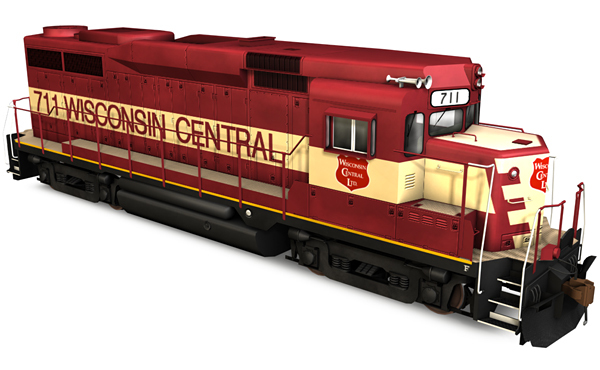 Locomotive features animated cooling fans, animated wheels, custom horn and bell sounds, bump-mapped textures, and level-of-detail reduction meshes. Custom cab NOT included; the GP30 model uses the Trainz default built-in EMD cab view. Custom engine sound NOT included; the GP30 model uses the Trainz default built-in EMD engine sound. Introduced in 1961, the General Purpose 30 locomotive is easily recognized due to its unique engine-hood style. Utilizing the 567-series engine, the GP30 produced 2250HP. 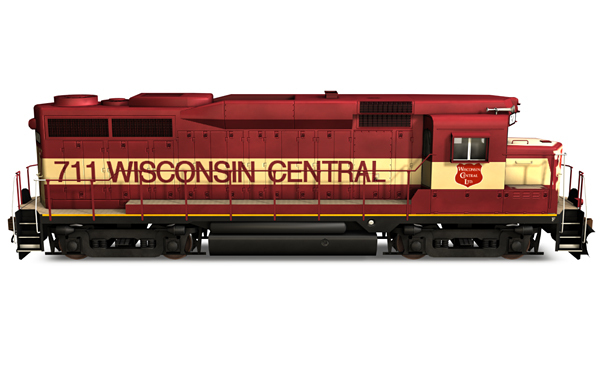 To reduce costs of new units, some GP30s were built using AAR Type-B trucks from trade-in ALCO locomotives. Union Pacific was the only railroad to roster cabless booster GP30B units. The GP30 is performance-oriented model. This model is made to maximize performance on weaker hardware by sacrificing aesthetic detail. COMPATIBILITY WARNING This content is only guaranteed compatibility in the listed Trainz builds. Missing dependencies, Content Manager errors, or unintended bugs may occur when using content outside of the above listed Trainz builds. Official support is not available for updating content to function outside of compatible builds. Make payments with PayPal. The safer, easier way to pay.